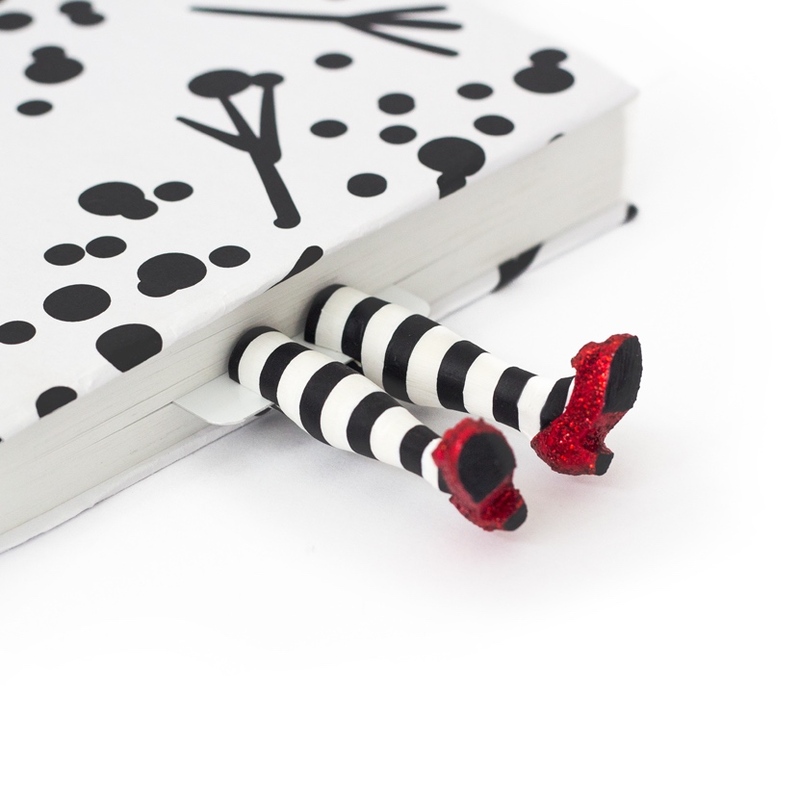 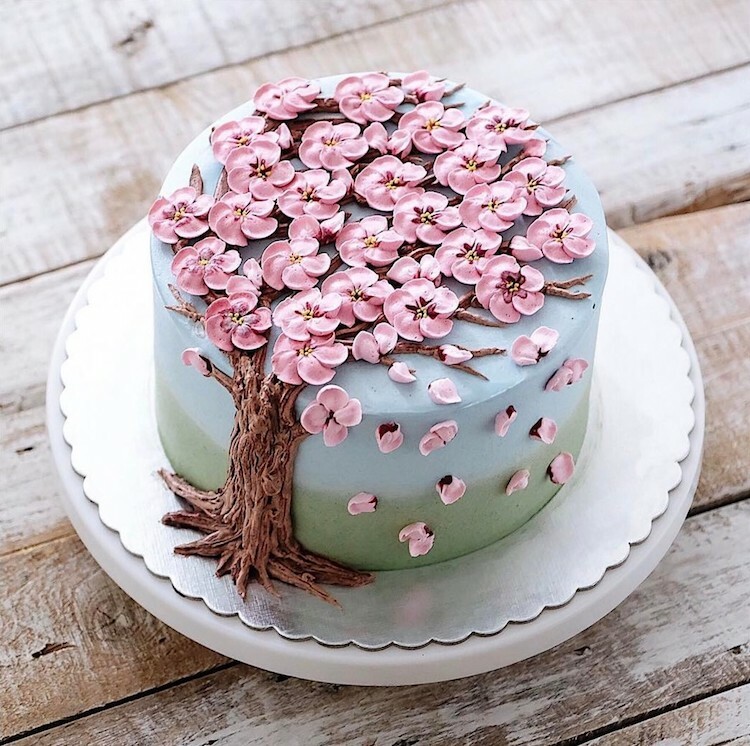 As of March 20, spring has officially sprung. 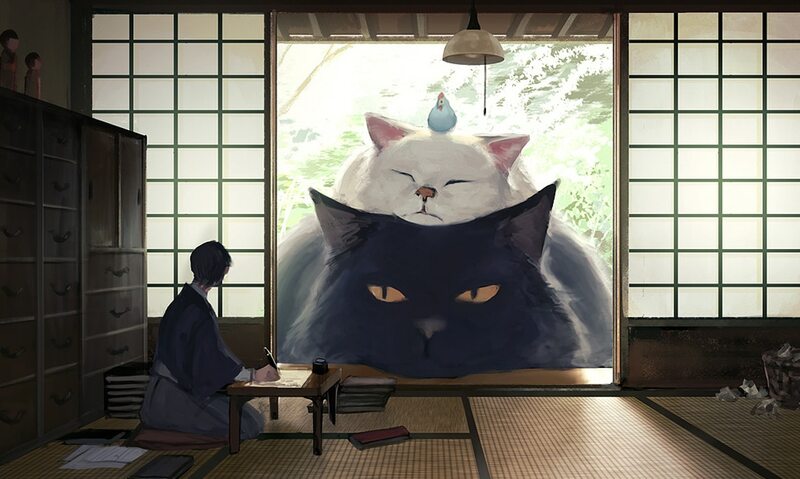 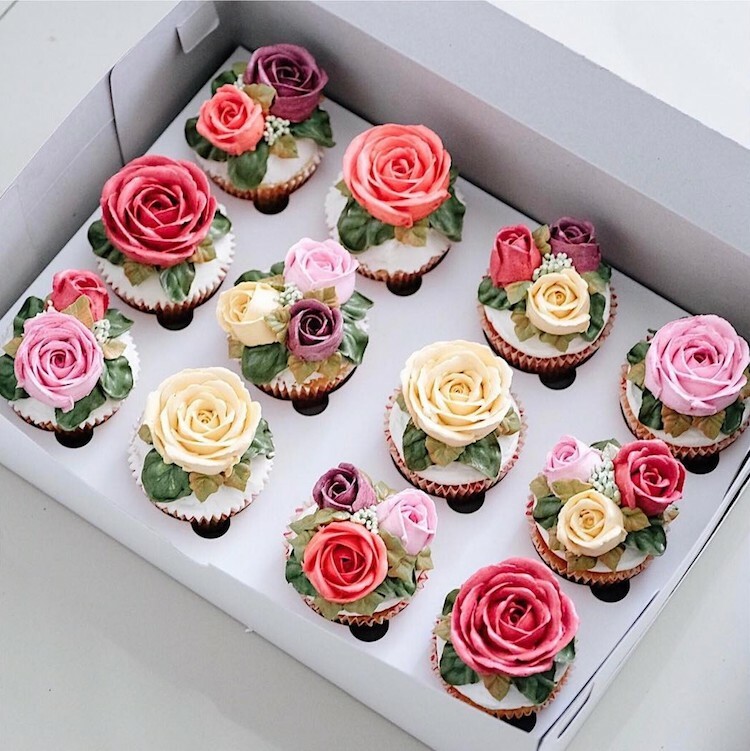 The days are growing longer and the flowers will soon bloom, making it reason enough to celebrate this glorious time of year. 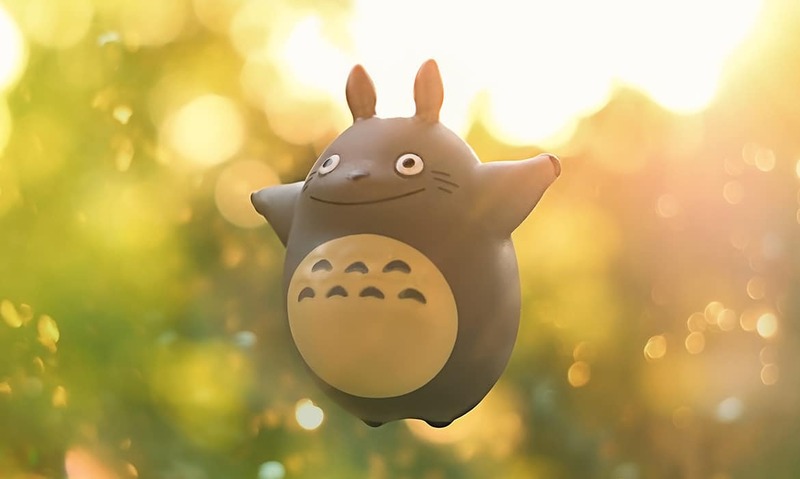 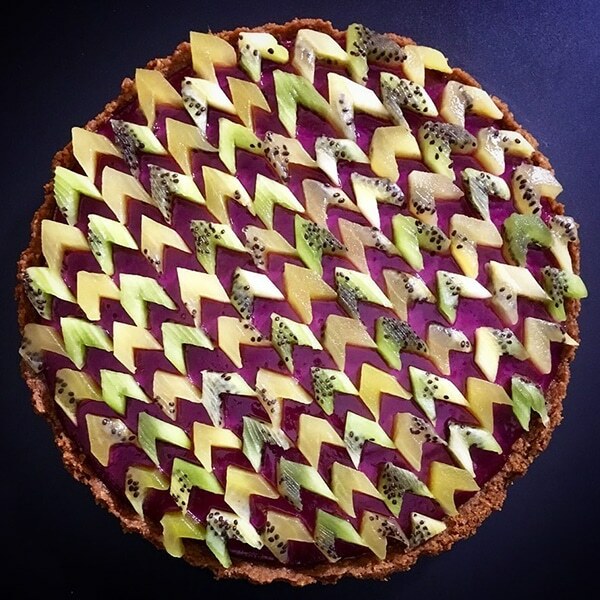 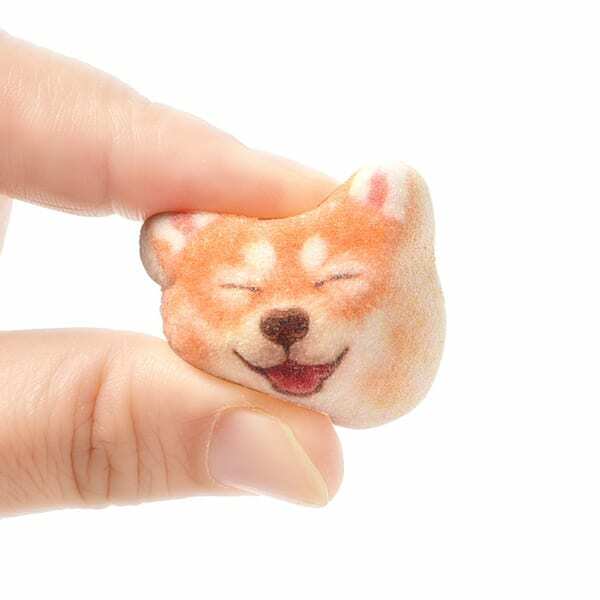 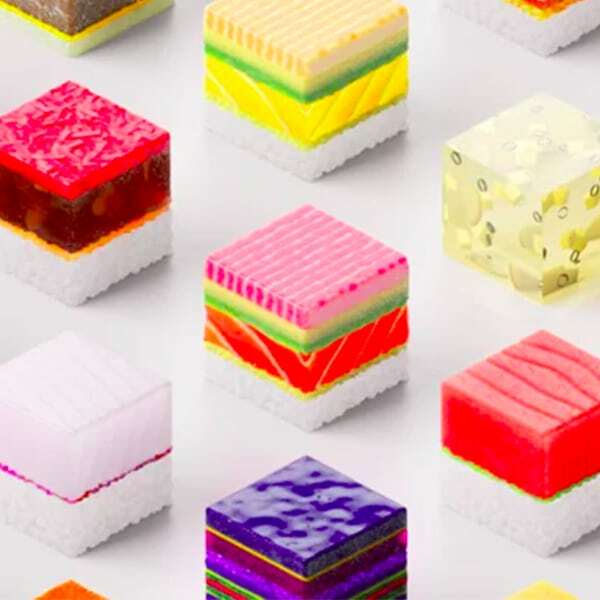 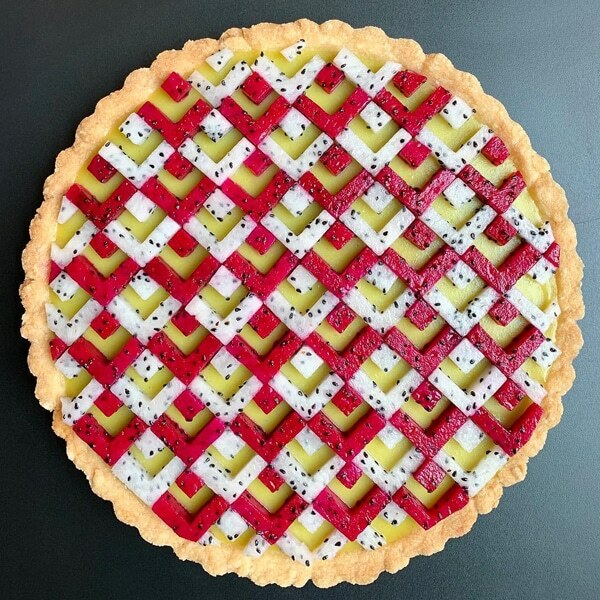 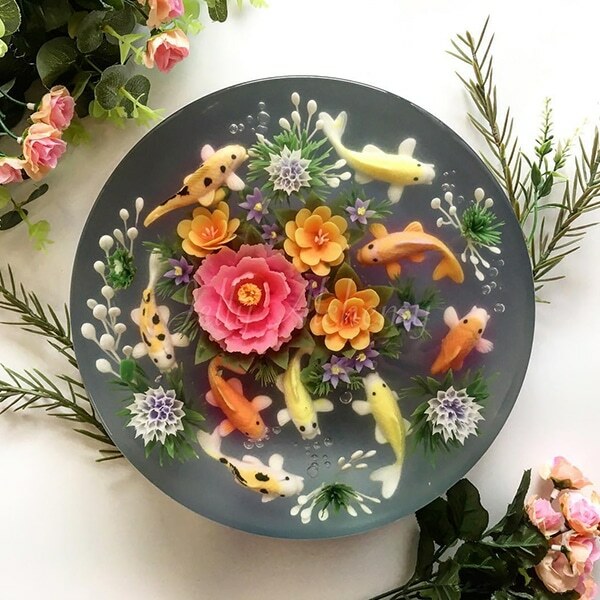 Even if you’re now dealing with frigid temperatures, you can still enjoy the start of spring thanks to some artful sweet treats. 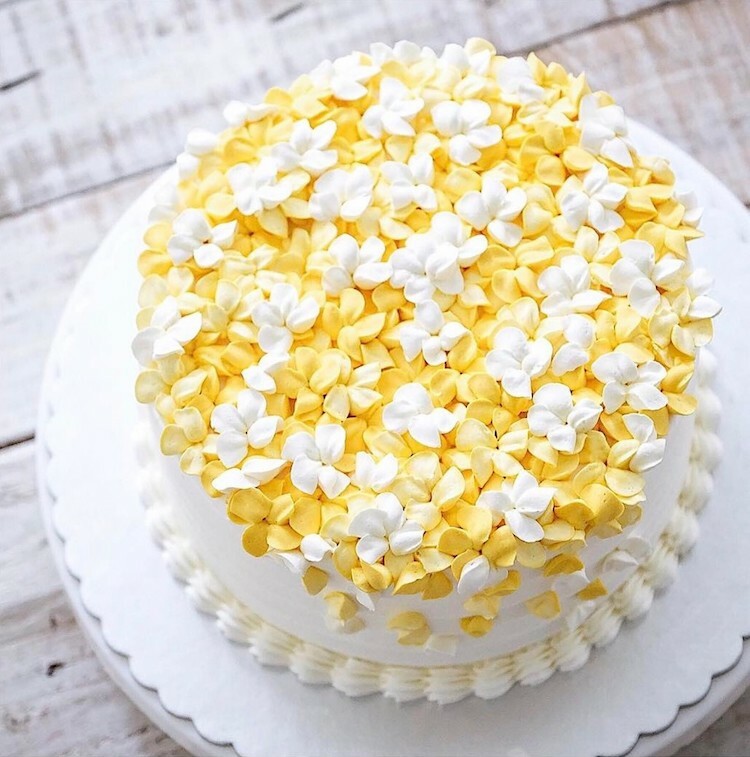 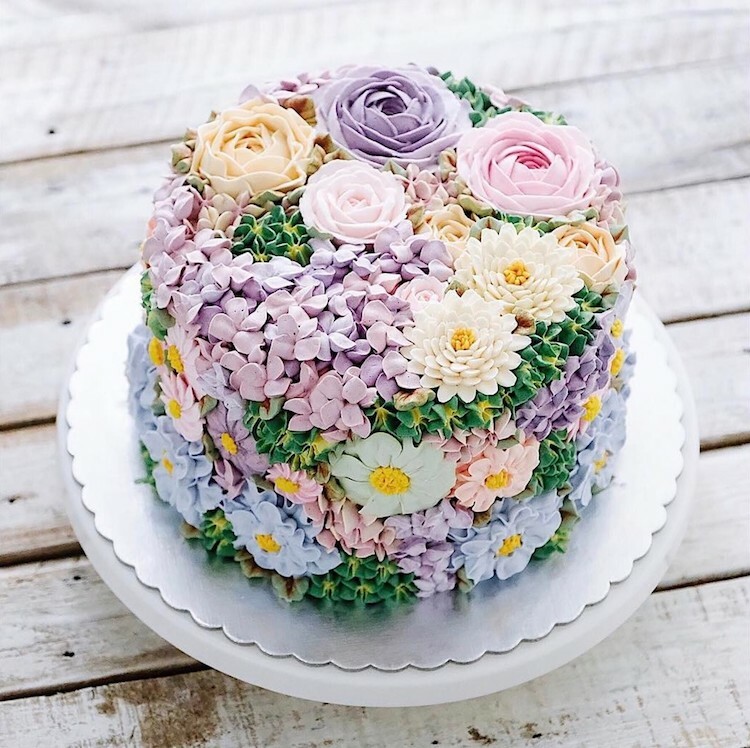 Buttercream flower cakes are simultaneously beautiful and delicious, making them the perfect way to ring in March, April, May—or anytime! 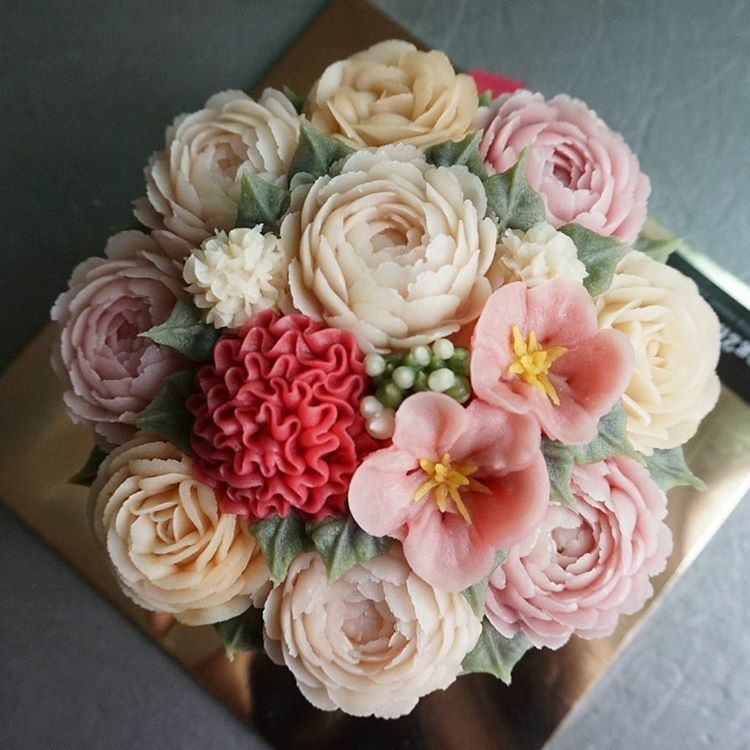 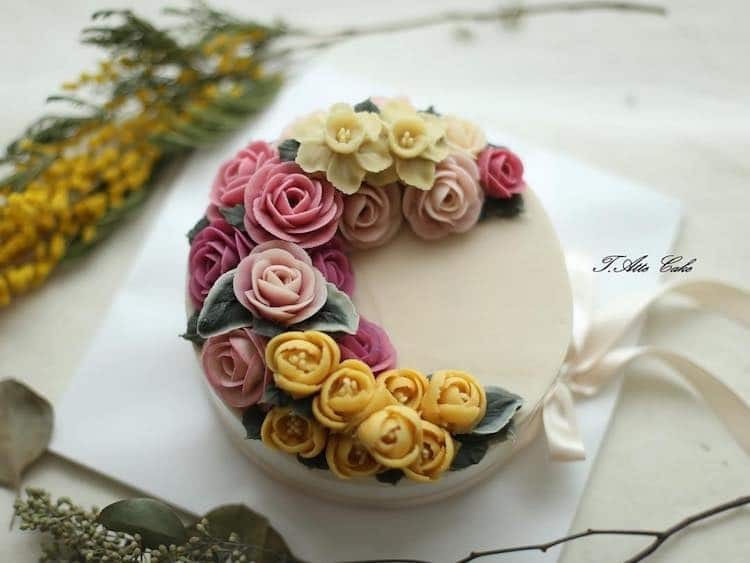 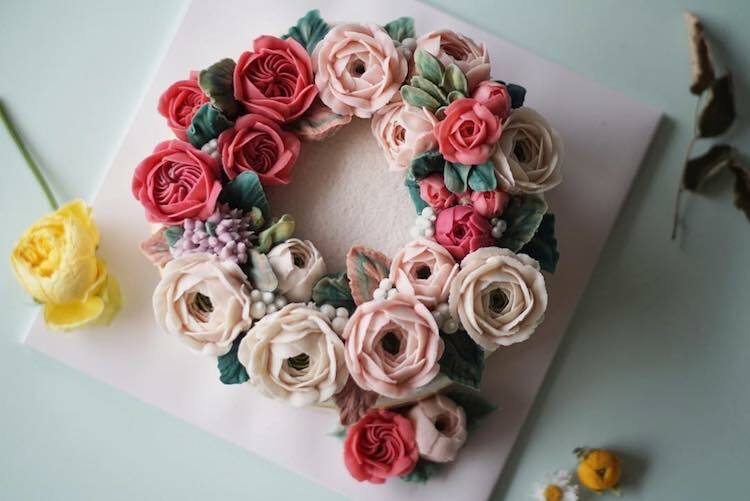 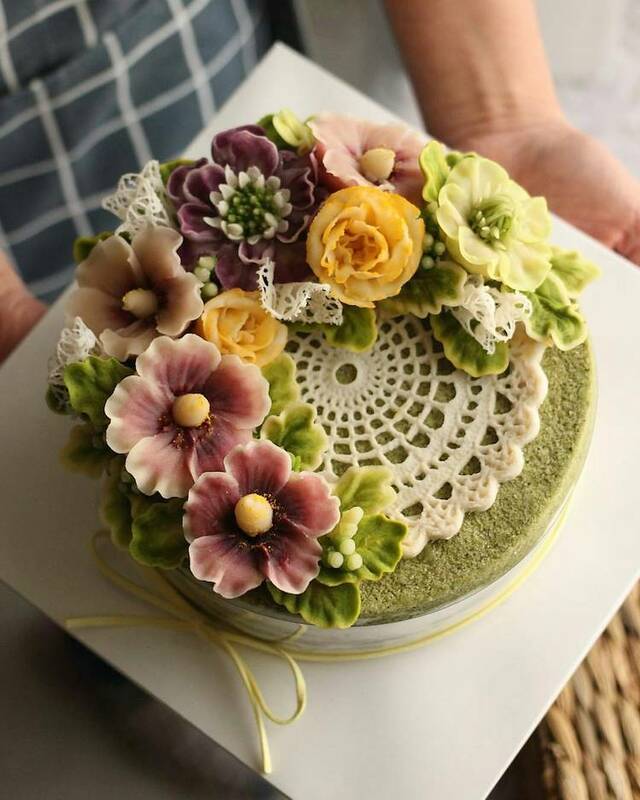 There are countless creative ways to craft a flower cake. 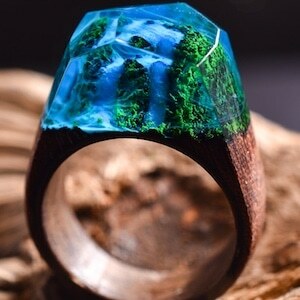 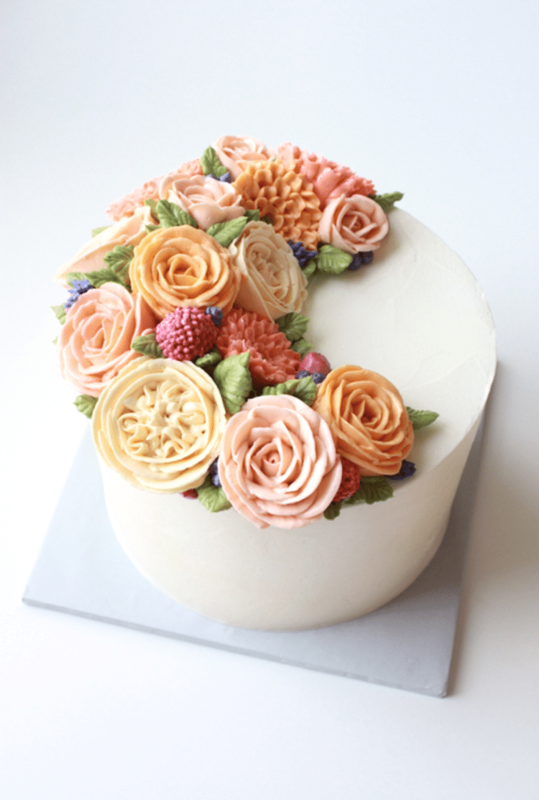 Some talented folks, for instance, cover the entire thing in an array of gorgeous blossoms. 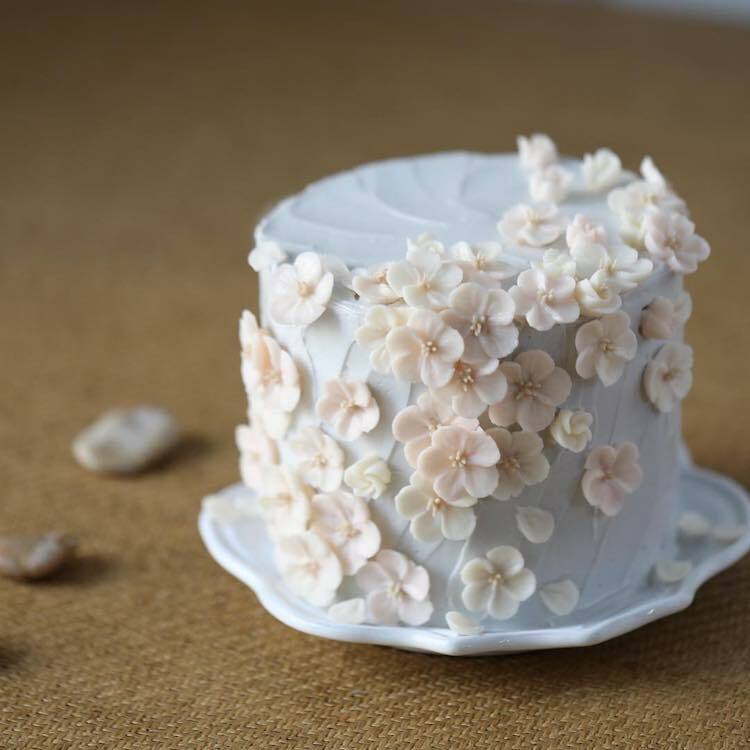 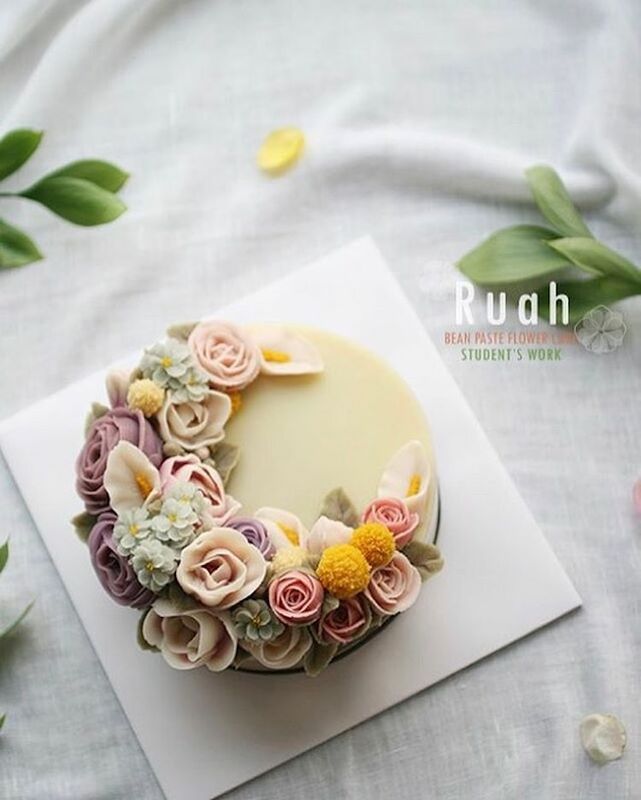 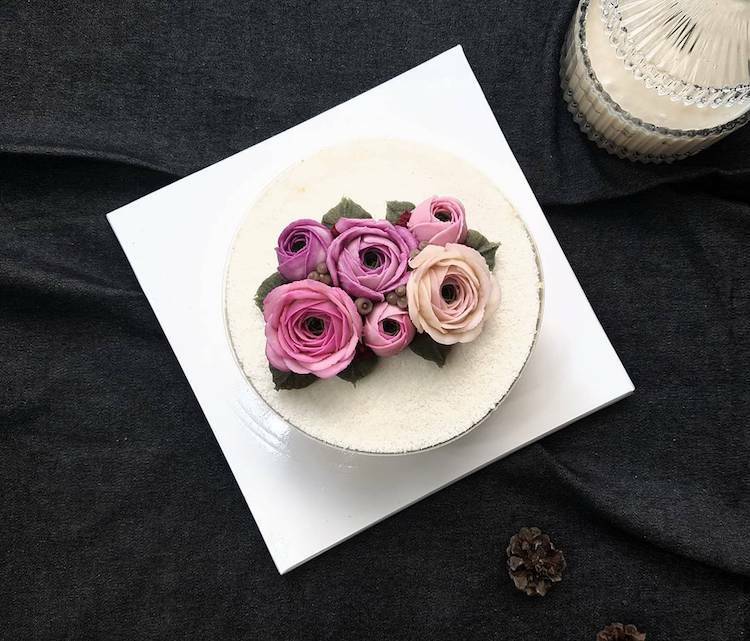 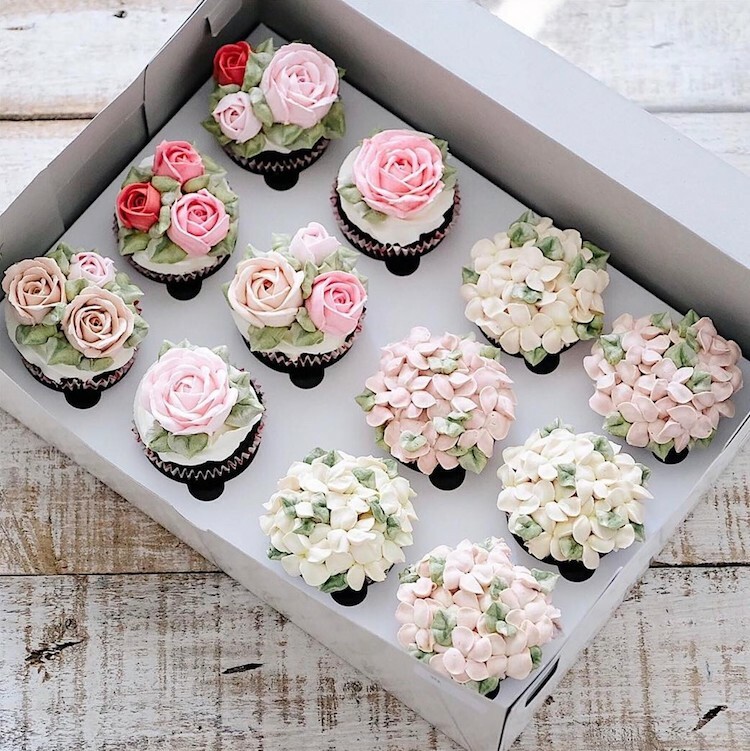 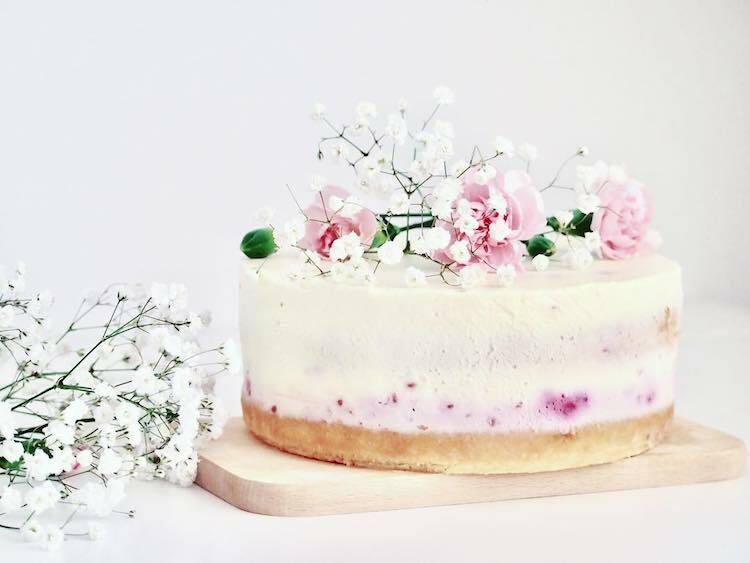 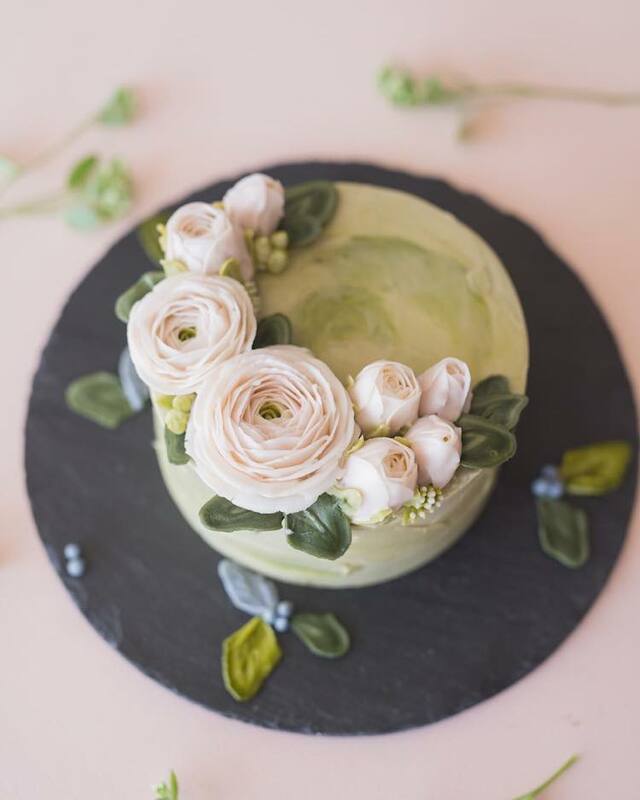 Jakarta-based baker Ivenoven recently produced a dish that’s more like flowers with a side of cake; every inch of its surface is covered with an array of pastel-colored petals. 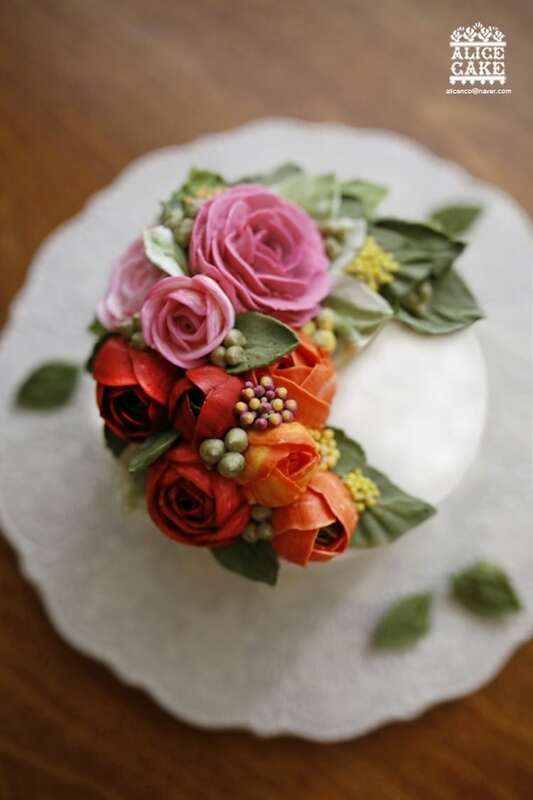 Others take a more conservative approach and sprinkle tiny blooms around the top and side of the loaf. 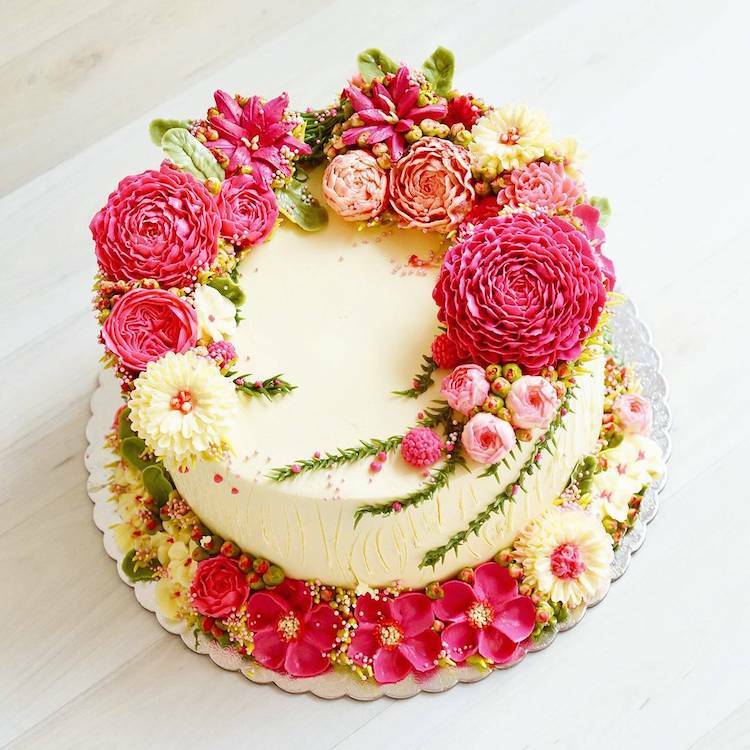 Often, these minimalist arrangements include a background of colorful frosting that complements their delicately-crafted additions. 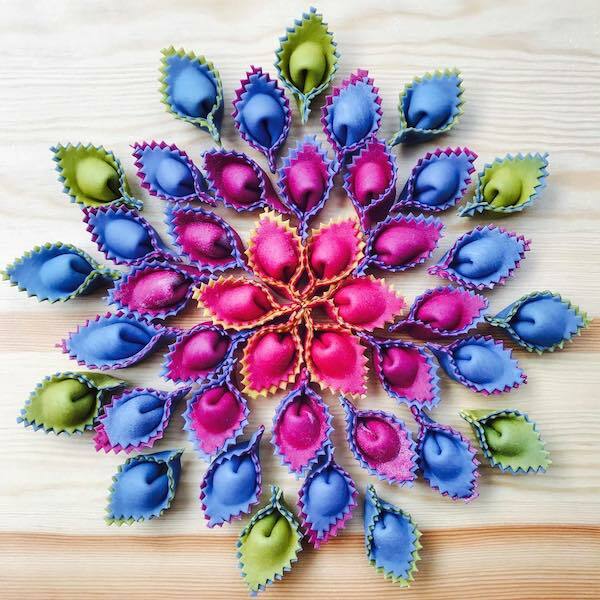 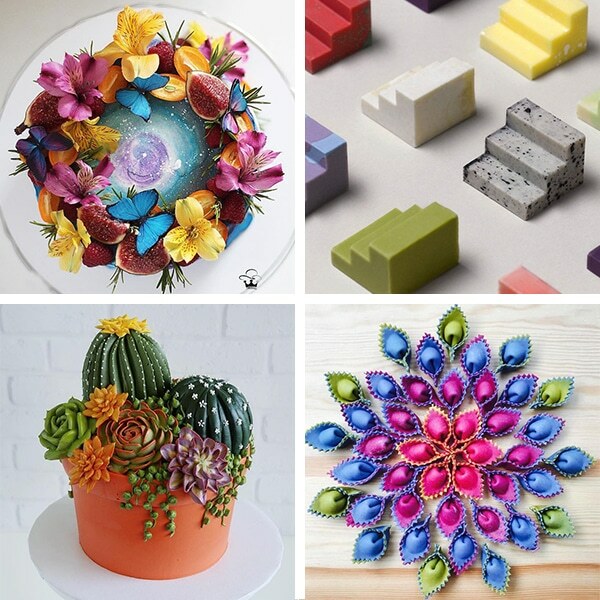 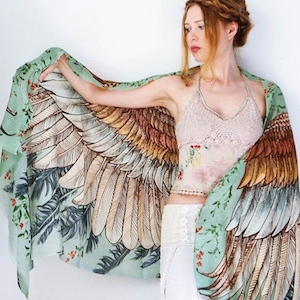 All of these floral creations were made using butter, powdered sugar, and food coloring. 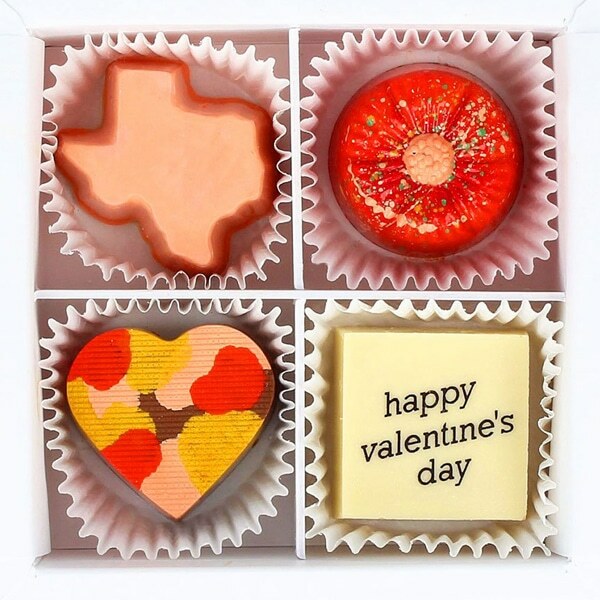 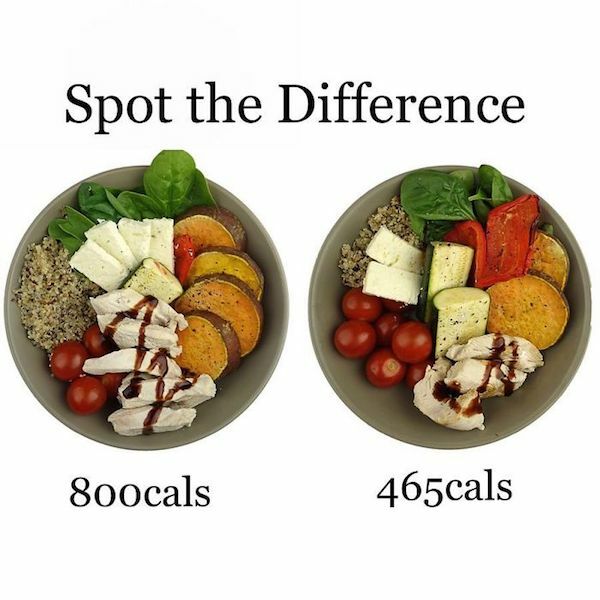 (Sometimes, additional flavoring is added.) 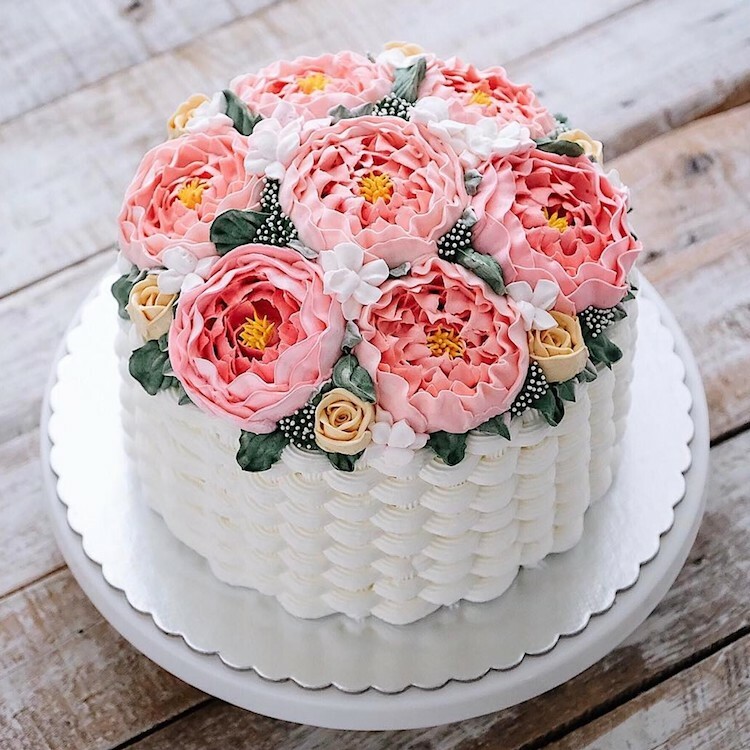 Considering buttercream frosting uses such a simple recipe, it’s amazing to see the edible sculptures that these bakers are able to make. 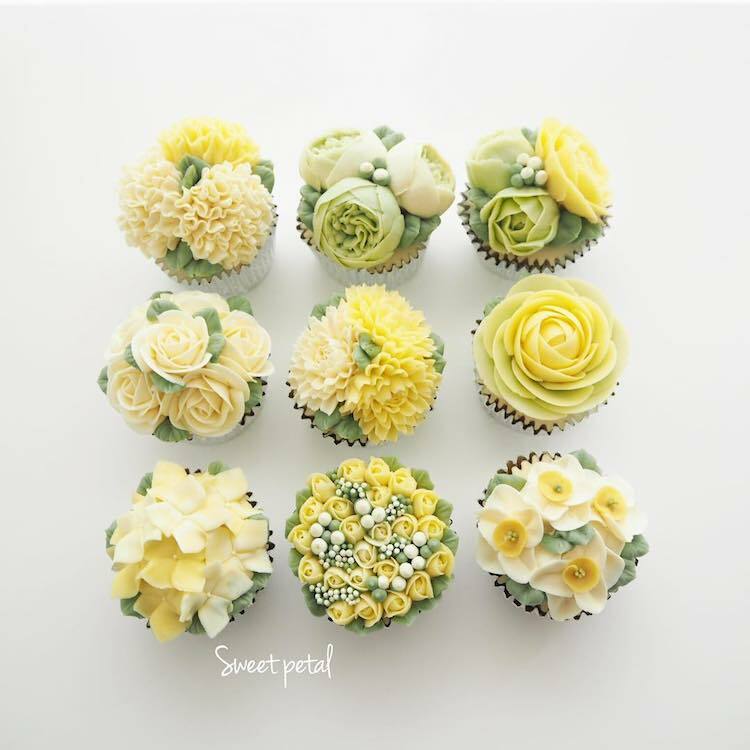 Say hello to spring with these buttercream flower cakes (and cupcakes!). 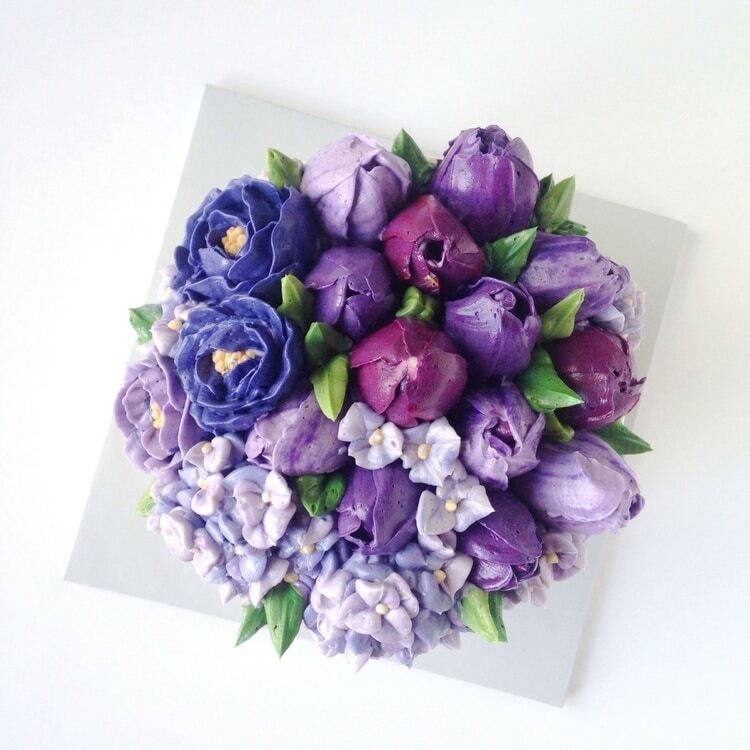 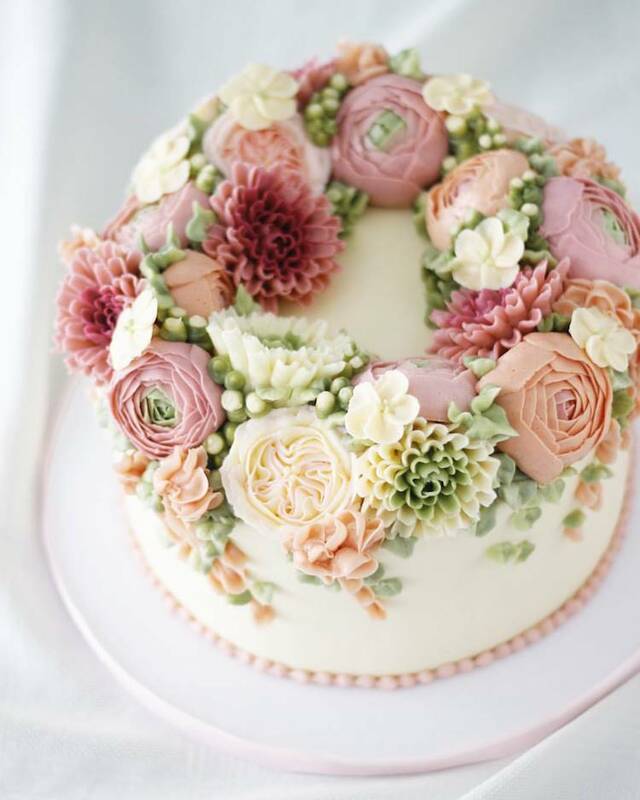 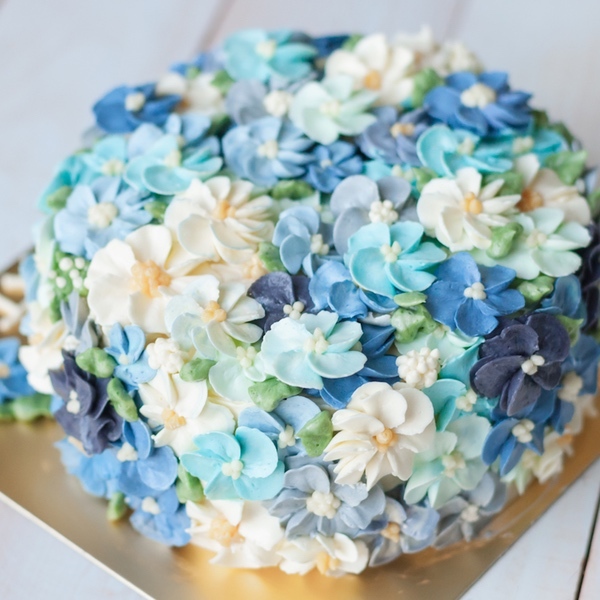 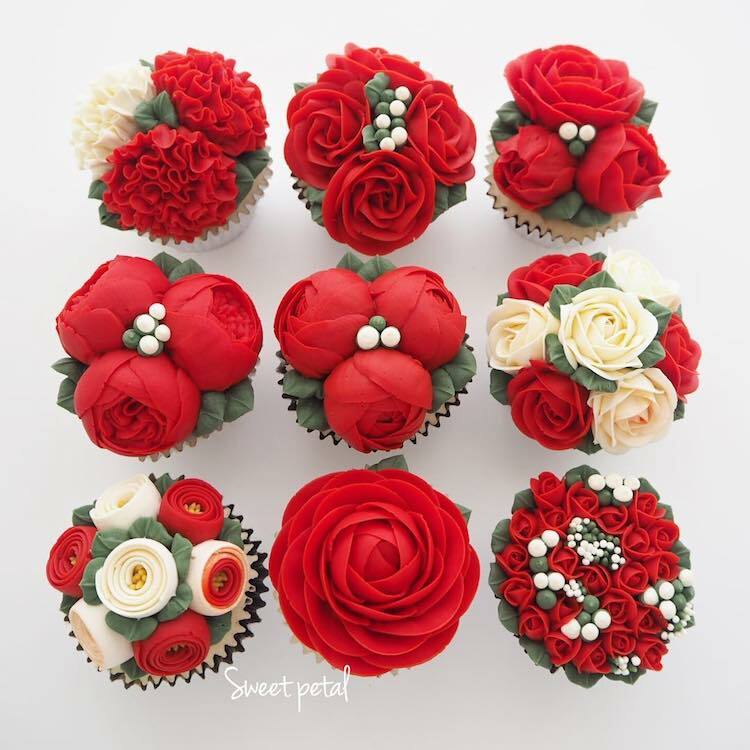 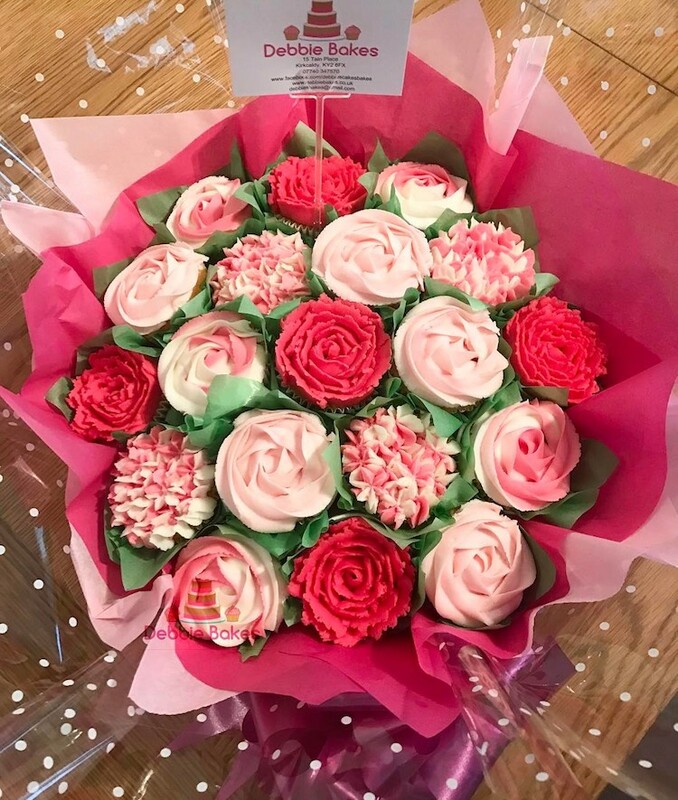 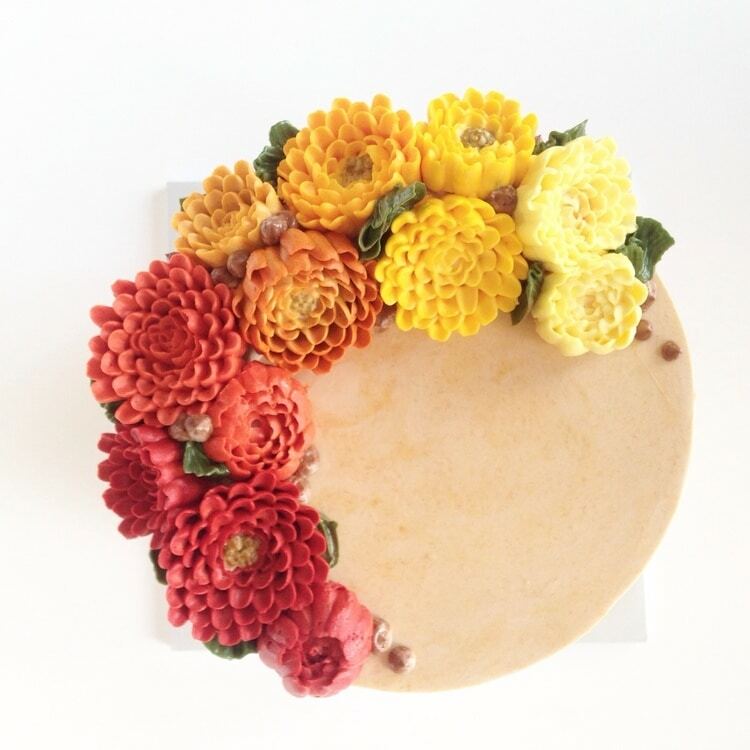 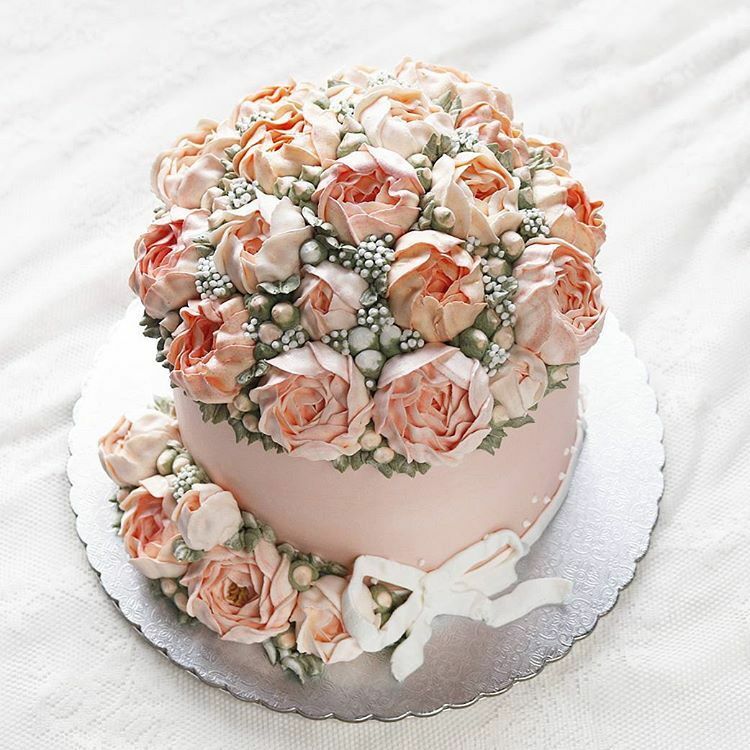 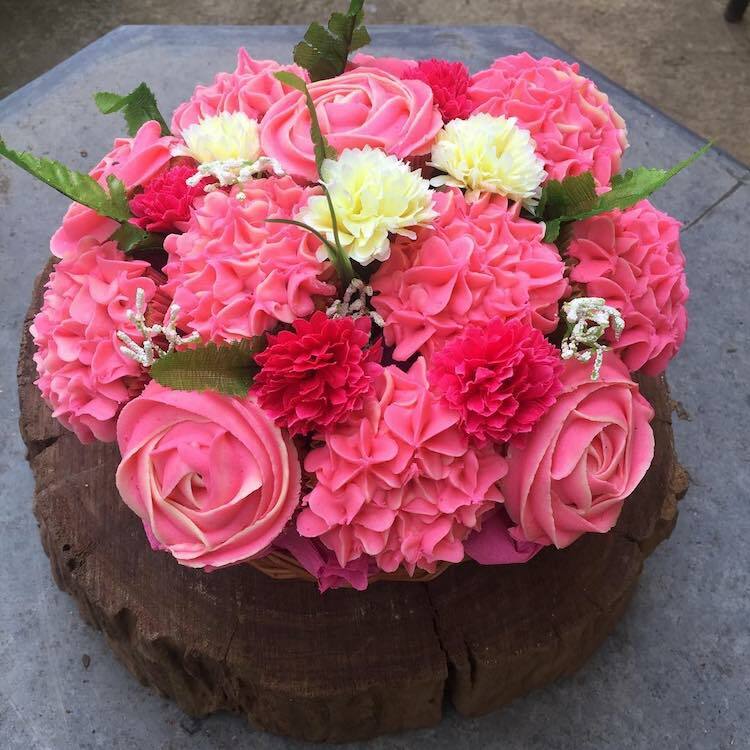 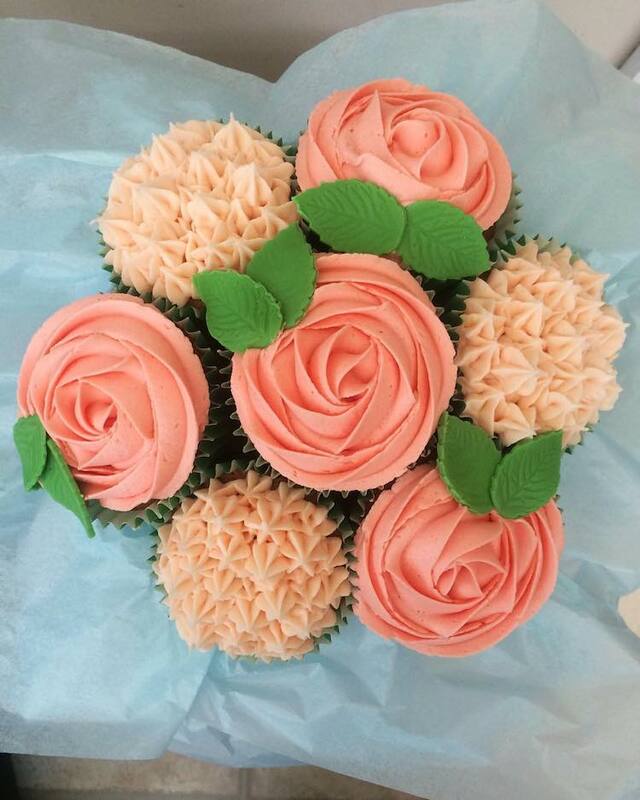 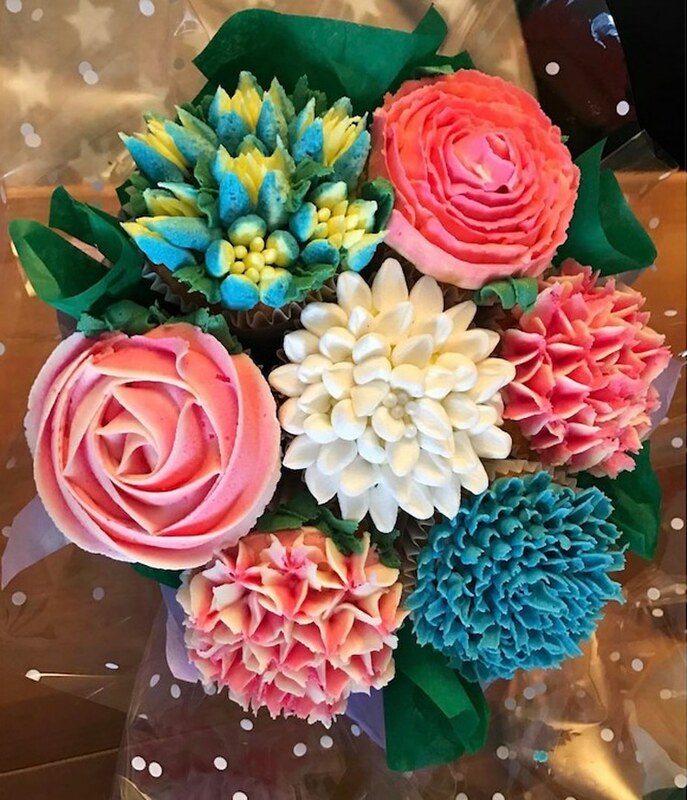 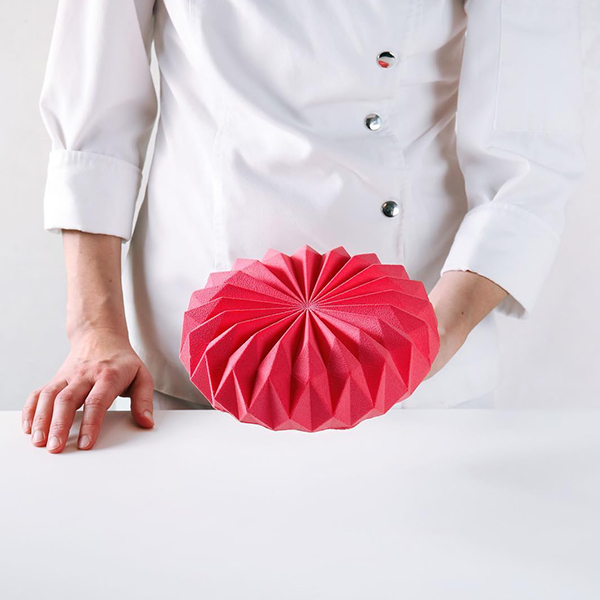 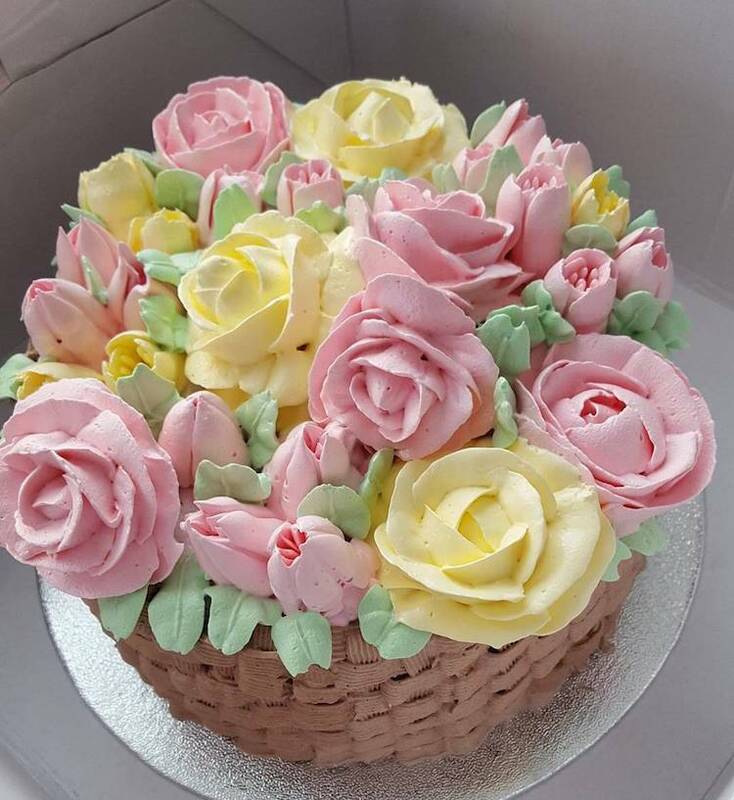 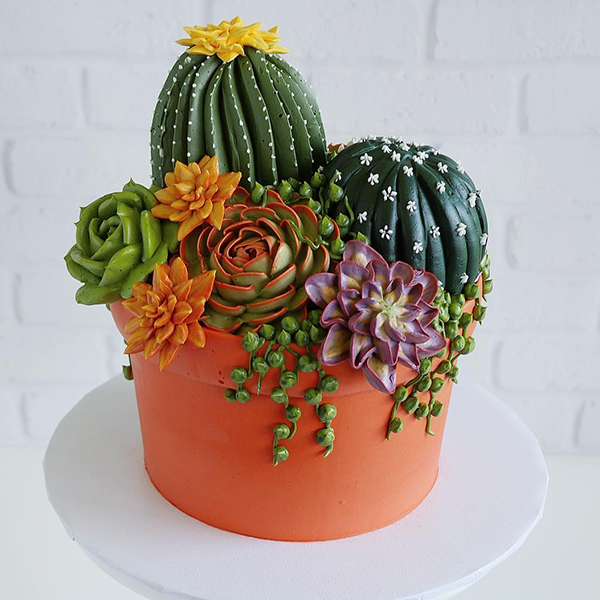 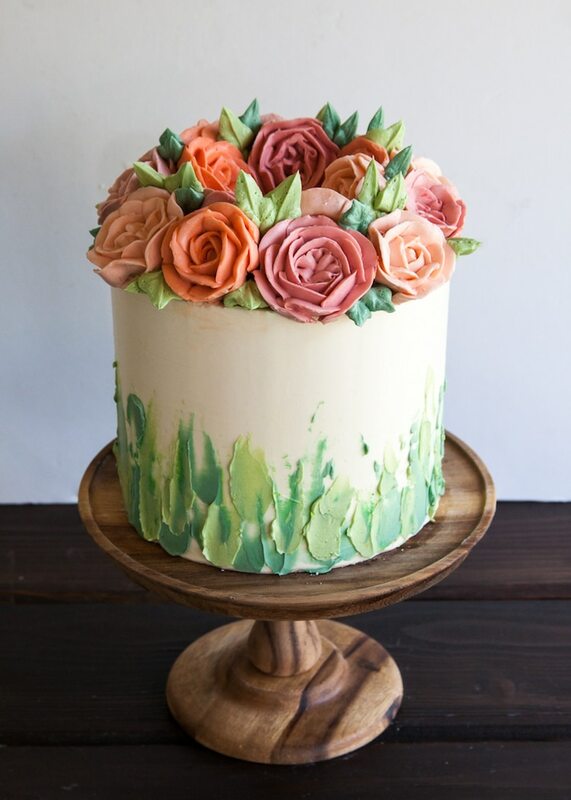 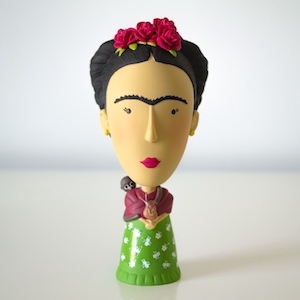 See how baking rockstar Ivenoven creates one of her flower cakes, below.